Pubs Adelaide welcomes Adelaide QLD, browse through our listings to find a lovely Pub, Club or Restaurant of your choice. 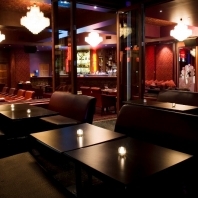 Located in Brisbane's hip West End, Lychee Lounge has remained an expression for innivation and one of Brisbane's truly unique bar and restaurants experiences. 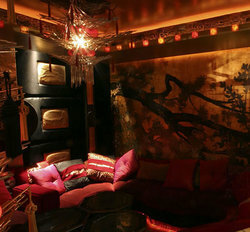 Lychee Lounge is an exotic oriental lounge, replete with Opium Den, Tatami Dining and a magnificent Samaurai inspired bar. Lychee's most impressive offerings come by way of a mixologist's list of cocktails drawing on fresh produce, exotic spirits and stunning flavour combinations that epitomise the magic of alchemy. Serving contemporary Asian flavours with a focus on communal dining Lychee Lounge offers a truly unique evening of flavour. Located less than ten kilometres from the central business district of Brisbane, Hotel Indooroopilly is an ideal establishment where you can wine, dine and entertain friends. At the sports bar, patrons can order a beer, use the TAB facilities or watch the sporting action on the television screens. Meanwhile, the restaurant serves traditional pub fare, with a Modern Australian twist. A menu just for kids ensures the younger ones are catered for as well. To meet the demand of our CBD styled city-living culture, a classic new restaurant has been created in the heart of Toowong. It's called Jaz Restaurant & Wine Bar and has a modern, stylish design with sleek lines that are subdued by the warmth of natural timbers. You can relax in climate controlled comfort, or enjoy the breezes and casual atmosphere on the verandah. The casual bar area is perfect for sipping a creative cocktail, ice cold beer or a glass of wine from the comprehensive and well priced wine list. Boasting a distinctly unique dining area, three luxurious bars, casino style gaming lounge and three multi faceted function spaces, the Melbourne Hotel has become a Brisbane landmark. Stylish decor, a commitment to service and exceptional food and entertainment means that any visit to the Melbourne Hotel will be memorable. 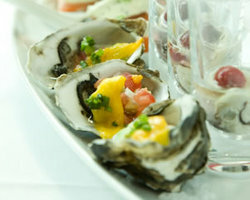 So whether it is breakfast, dinner, Friday night drinks or your next function, the Melbourne Hotel is sure to impress. We look forward to seeing you soon at the Best End of West End! Kis Cucina translates as 'keep it simple kitchen'. In this homey, informal dining setting you'll find mod-Oz cuisine inspired by traditional Italian recipes and seasonal produce. All the pasta, breads, cakes and ice cream are made on the premises. The menu changes regularly, as does the accompanying boutique wine list - though due to customer demand, the spicy calamari and pumpkin risotto are permanent fixtures on the menu. 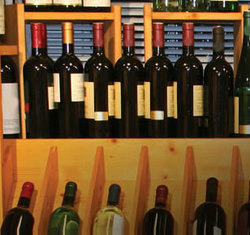 The wine list carries about 20 whites and reds and there is a good selection of bottled premium beers. There are three different seating areas, all with a warm and comfortable feel, and the use of earthy tones and plants give the place a Tuscan feel. For groups of up to 20, there is a long table with comfy high-backed chairs. 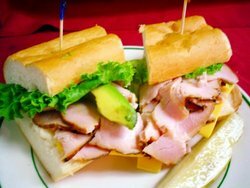 Kenmore Tavern is a great place to go with family or friends to have a meal or enjoy the great atmosphere. The Kenmore Tavern is a good allrounder venue, popular with the locals, where you drop in catch up with friends over a coldie at one of the three bars, have a flutter on the forty modern gaming machines and check out the restaurant - renowned for their quality steaks. The fully equipped function room seats 100. Consumed by an abundance of history the Regatta Hotel is the perfect place to be seen in Brisbane with oarsome views of the Brisbane River. 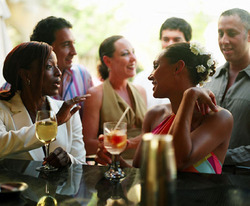 Offering a lifestyle setting, hip music, fun and funky atmosphere, fabulous range of beverages from local to imported beers or a refreshing drop or two of wine, the Regatta has it covered. Not to mention our modern function rooms located on level 1 have the most amazing view of the Brisbane River. 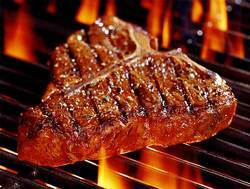 The Boatshed steak house offers the best mouth watering, cooked to perfection steaks with a hint of seafood and poultry also available on the menu. The Street Cafe is the perfect spot to relax and enjoy a light meal with friends or a coffee and a chat. Whatever is on the agenda the Regatta Hotel offers it all. So come on and live the Regatta Lifestyle. Please note the Regatta Hotel is fully wheel chair accessible, excluding our Gaming and Cellar Bar area. Brisbane’s premiere venue UBER is located at 100 Boundary St West End and is designed to specifically cater for all our patrons needs, no matter how big or small they may be. Onyx Restaurant and Lounge Bar was opened in 2005, soon establishing a new benchmark for competitors in style, restaurant popularity and cocktail mixology. The venue presents as a sweeping open plan, cleverly incorporating dining surrounds, a striking wine/cocktail bar, and a luxurious lounge setting. Onyx, a rare marble imported from the Middle East, lavishly lines the extensive bar top with its brilliant yet mellow glow oozing style and sophistication. Dangling above with dignity – a French chandelier….rich chocolate browns, lush leathers, antique gold mirrors, cushions and tassels all team to create a richness, class and elegance with an invitation to all. West End is where we’re at - the cultural heart of Brisbane. Presently, we’re seeing an un-precendented tranformation here and across Brisbane as it faces its fastest growth period ever. 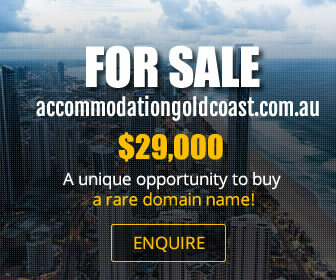 Hopefully, this means lots of new people will begin to share in what Brisbane has to offer whilst we all try to work together to protect our culture and our environment. 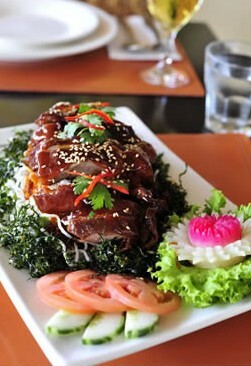 Authentic Thai flavours and friendly service at Baan Thai create a truly enjoyable dining experience! Our meals are prepared fresh daily using locally grown produce where possible and cooked in Convection Ovens in Senora style, mild. For those who enjoy a hotter taste do not hesitate to order hot or extra hot sauce, Texas style. 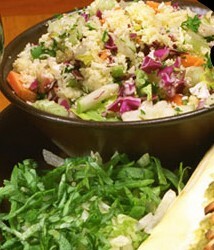 We also offer many vegetarian options and can provide recommendations for a variety of allergy friendly foods. We even have a special children's menu for the little amigos. 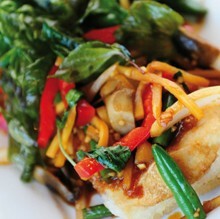 Thai Aroy Restaurant has established itself in the suburb of Indooroopilly in 2006. Thai Aroy is a family business where all the staffs are family members or closed friends. 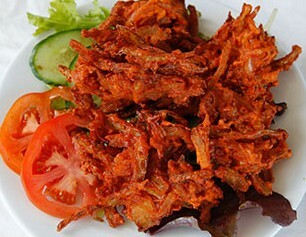 The main intention of Thai Aroy is to make the authentic Thai food available in Brisbane. From the years in Thailand, our family has been running restaurants for a couple of generations, so you can stay assured that you will get one of the best tasting Thai food around by coming to our restaurants. Over the years, the popularity of Thai Aroy Indooroopilly has risen. It was the beginning of this year that we decided we will open another shop in South Brisbane. Unfortunately for us that after only a few days of opening, we had to close the shop due to Brisbane Flood. The shop was severely damaged and it takes no shorter than half a year to have the shop rebuilt and good for running again. 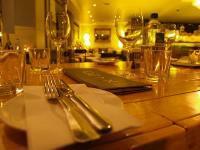 At Piazza Italia we offer a warm and friendly atmosphere in a rustic trattoria style restaurant. Our chefs produce great traditional Italian cuisine and our wine menu features imported reds and whites from Sicily, Fruili, Tuscany and Emilia Romagna. Our delicious pizzas and pastas are also available to take away. 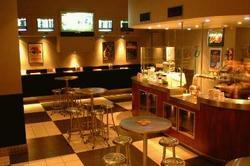 We welcome large groups for functions or parties. We are a BYO restaurant, corkage charge of $2 per glass applies. We have EFTPOS facilities and we accept all major credit cards. 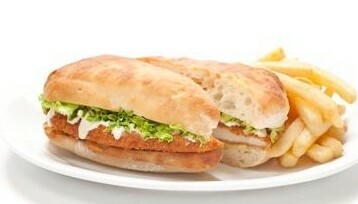 We are also open for lunch on weekdays, with specials from just $7. 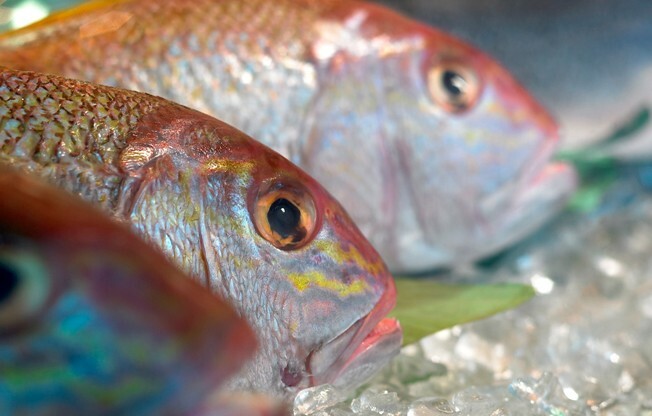 For pure culinary indulgence, a true gourmand will rarely go past fresh, perfectly prepared seafood. 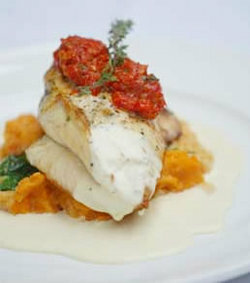 Thankfully, it is this belief that creates the unmistakable essence of Lure Restaurant at The Coro. used by the designers suggest not just something special, but many things remarkable. Experience the exquisite aromatic flavours on offer at ‘A Night in India’. Escape in to a world of tantalising taste delight with a myriad of healthy, fresh and colourful dishes created from scratch, using traditional Indian recipes, delicately spiced to intoxicate the taste buds. A Night in India is one of Brisbane’s best, largest and highly reputable Indian restaurant. This restaurant was established in 1996 and it’s constantly fresh and flavoursome cuisine sees this venue brimming with customers Owner is passionate about providing nothing but the finest quality, Healthy and traditional Indian cuisine, with flawless service and the ambience to match. Most importantly all meals here are free from any added thickeners, preservatives, gluten or MSG. At Fasta Pasta, we’re fanatical about fresh pasta – and have been since 1984. In all those years, we’ve only ever used the finest quality durum wheat and eggs, which give our pasta its distinctive soft texture and tenderness. This allows our pasta to absorb the full flavour of our delicious sauces and other ingredients – qualities that dried pasta can’t quite provide..
ingredient of our success is our age-old Southern Italian culinary know-how. In fact, some of our recipes have been passed down through generations, and when we look to introduce a new dish, we often look to the past – with a modern twist or two. 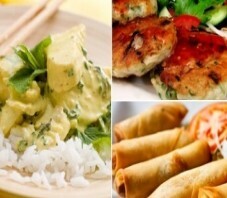 we welcome all gluten freeand vegetarian thai food lovers. While the innovation and confidence of Peter Clark's menu; using the best fresh produce with both restraint and artistry - delivers an experience that will definitely linger in the memory. While taking traditional dining even further is Lure Restaurant's Oyster Bar - relaxed, communal seating which allows guests to enjoy their meals whilst watching Lure's fascinating exhibition kitchen at work. Made In Africa Ethiopian Restaurant serve authentic Ethiopian cuisine and coffee on Beaurdesert Road, Moorooka the nick name little Africa. 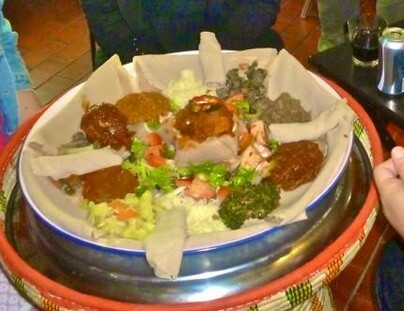 Normally, to discover the culinary traditions of Ethiopia, you would have to wing your way for 26 hours or more on two or three planes to get to Addis Ababa. But now, thanks to Tesfaye Tefera and the team at “Made in Africa” on Beaudesert Rd at Moorooka, you can enjoy a genuine Ethiopian experience right here in Brisbane. Siam Samrarn is the place where you can ensure satisfaction with every of your visit. Our atmosphere is absolutely amazing to suit every occasion. Siam Samrarn is the perfect place to go for a romantic meal if you are looking for a nice place to celebrate an anniversary, birthday and any other special events. Welcome to Bar None where delicious food, great coffee and friendly staff combine to ensure a pleasurable and totally relaxed dining experience. Prince of India's objective is to provide genuine and authentic Indian cuisine in the Brisbane with the exciting and authentic taste of the many regions of India, combined with style, flair, and presentation. Prince of India is unique as an Indian restaurant anywhere in the world. 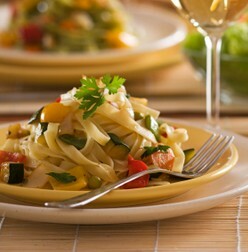 It is a gourmet trail of the many diverse regions of India. It serves food from as many as six different regions of India and has a team of specialist chefs recruited from India, each producing their own regional specialties. We at Prince of India had a life long passion for real Indian food, and have traveled the length and breadth of India, so that we could provide you with the same culinary delights that were relished by the Maharaja's of India's glorious past. 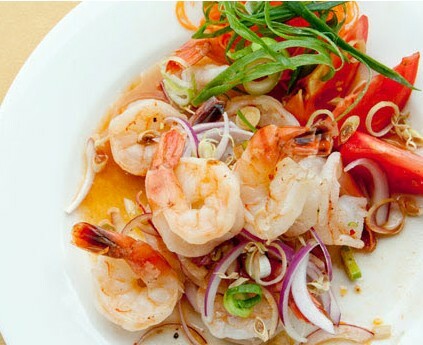 You are invited to experience divine Thai and Malaysian Cuisine in the local area of Chapel Hill. With over 20 years of experience in the Centenary suburbs, our valued customers and friends return. Thai At Chardons is located in Annerley next to Ccorner Hotel! Thai at Chardons doesn't pretend to be anything more than a dependable local Thai restaurant, but punches well above its weight. 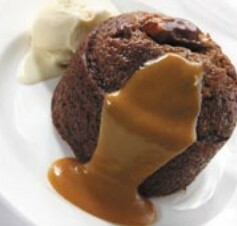 Recently refurbished décor, a menu of reasonable priced favourites see us return to the menu to order more! Gang Mussaman matches texture with flavour, but Grilled marinated whole king prawns with lemon, chilli and garlic is an unbeatable triumph. Wait staff go out of their way to make sure you enjoy the experience and are always willing to recommend menu selections. Rest assured this is the perfect place to come for a delicious meal.